Your form has been submitted but your PayPal transaction appears to have been canceled. You may receive an email from Newark Catholic with information from the form you submitted, but since the PayPal transaction appears not to have been completed, your form will not be processed. If this cancellation was not intentional, please re-submit your form and attempt your payment again. 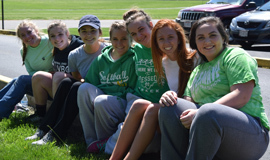 Thank you for supporting the Newark Catholic Alumni Drive.